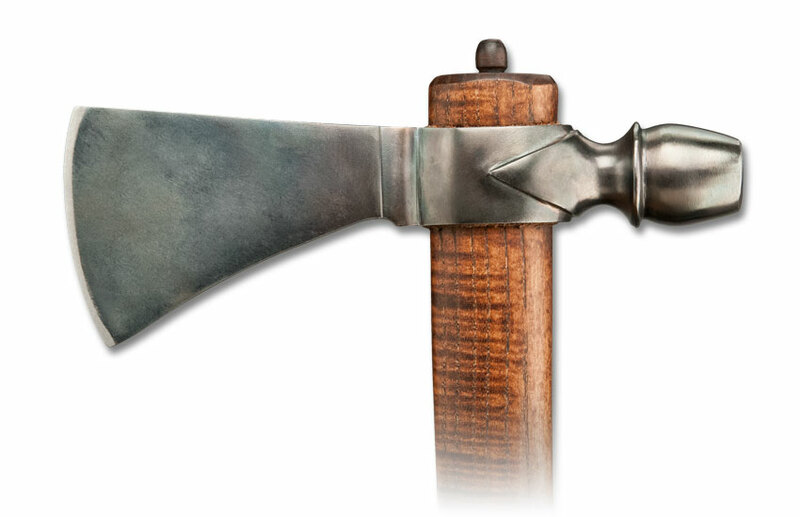 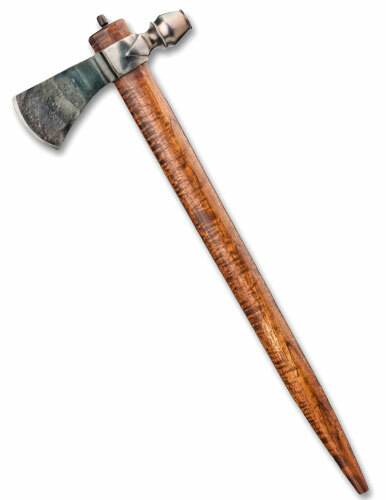 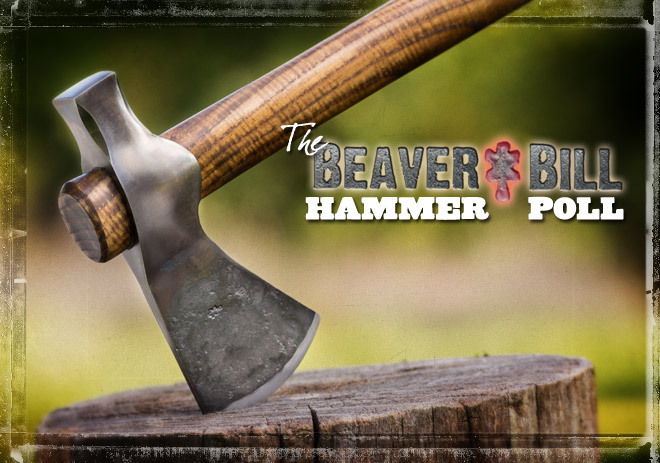 Beaver Bill Pipe Tomahawks are available with a variety of options. 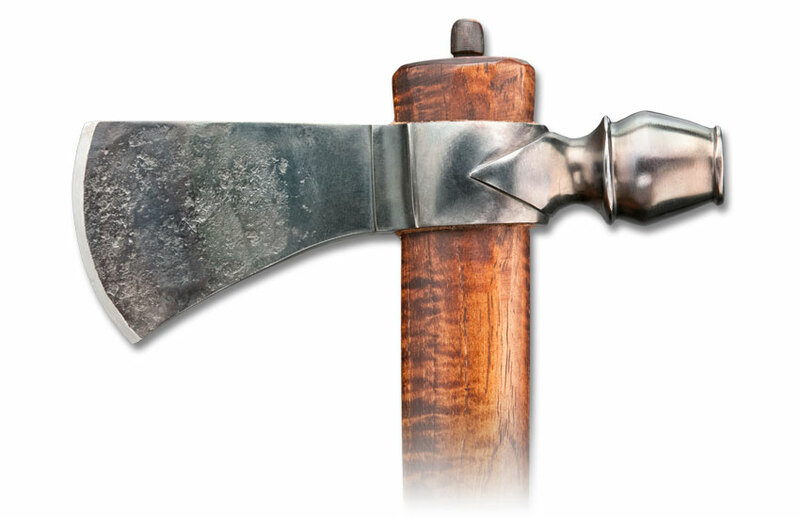 The head can be totally finished or with forge marks remaining on the blade. 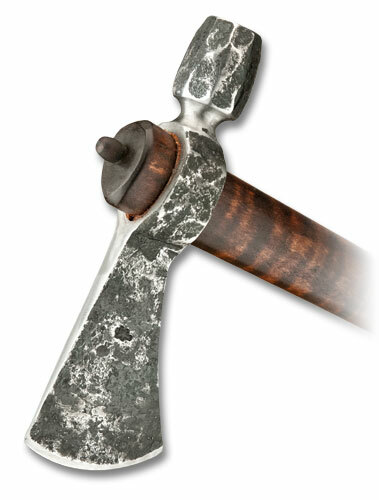 Another option is to have a head that retains almost all the forge marks, giving a very old and aged look. 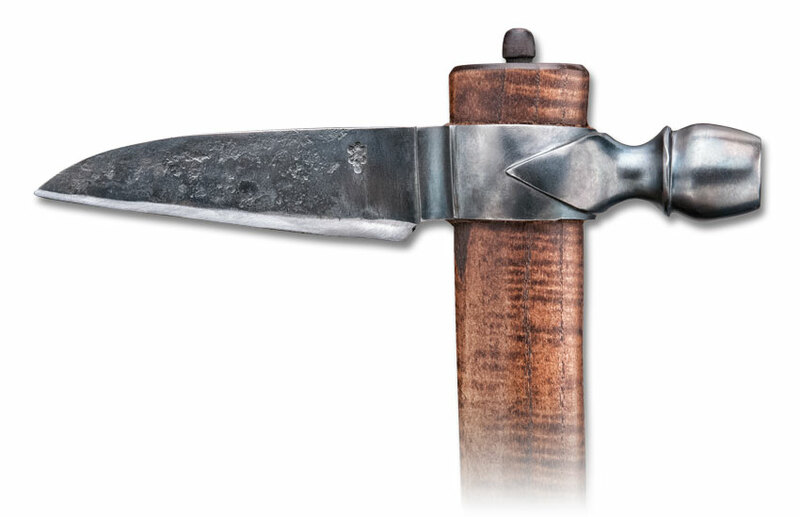 A “Hi-Carbon” bit insert is a good option if you plan to use your Pipe Hawk for chopping and want a more durable edge. 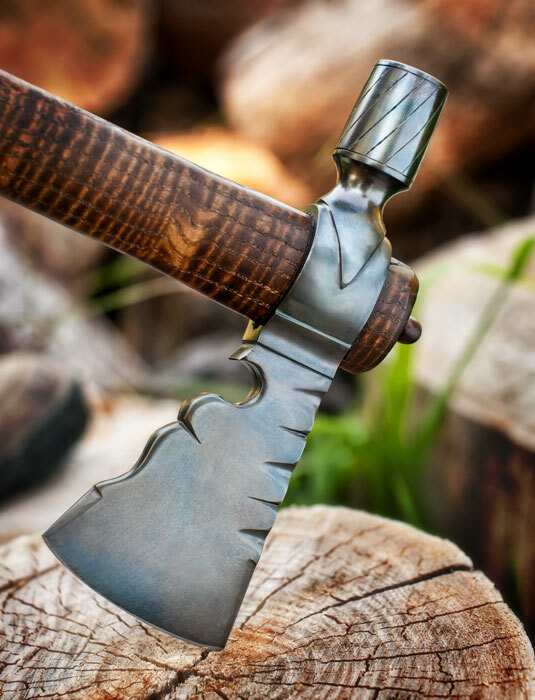 Your choice of Osage, Curly Maple or Curly Ash handle. 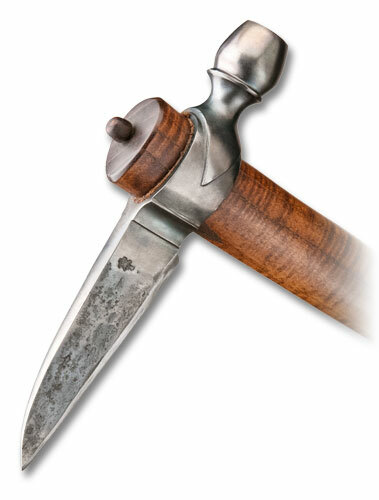 This Pipe Hawk is pictured with a smooth blade and a curly ash handle. 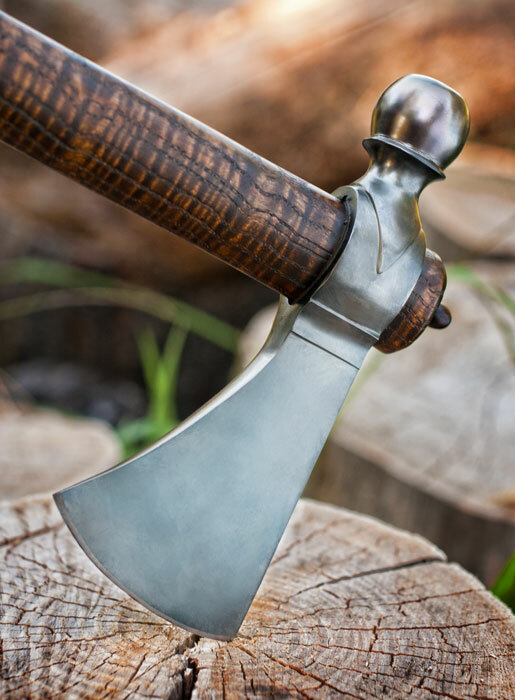 This Pipe Hawk is pictured with forge marks left on the blade to add character and an aged look, pictured with a curly hickory handle. 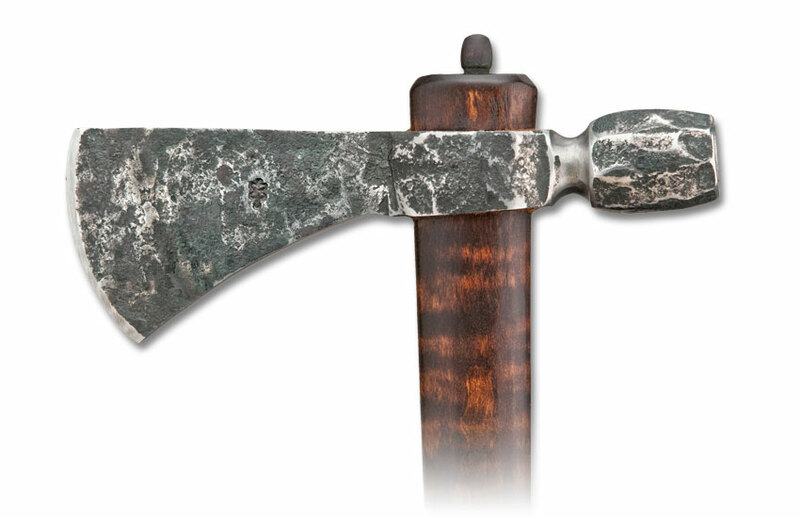 This Pipe Hawk has a very rustic look with heavy forge marks and hammered textures, pictured with curly maple handle. 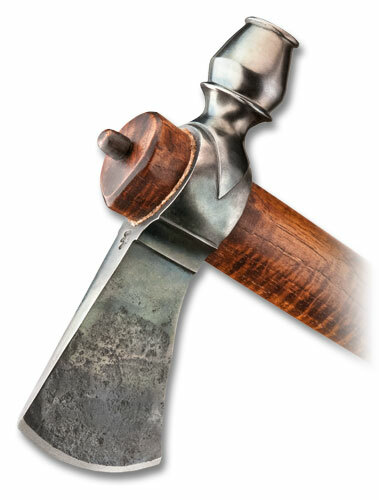 This unusual Pipe Hawk has forge marks left on the blade and is pictured with a curly ash handle. 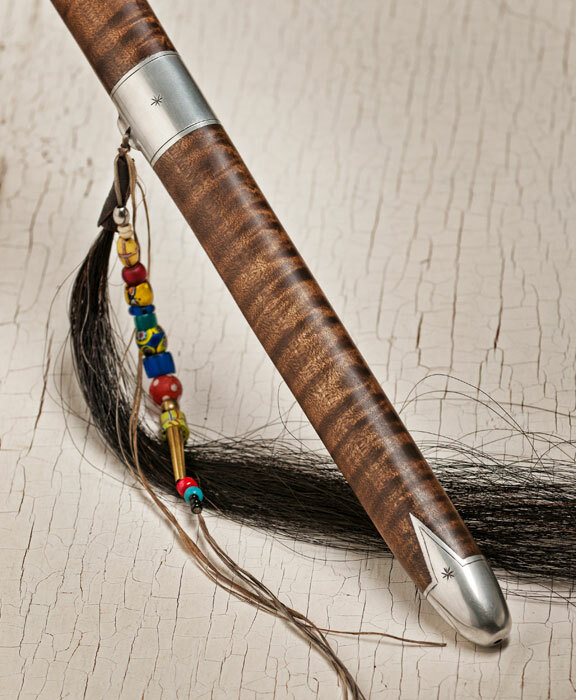 Beaver Bill Pipe Hawks come with an open bowl and tapered handle drilled for smoking. 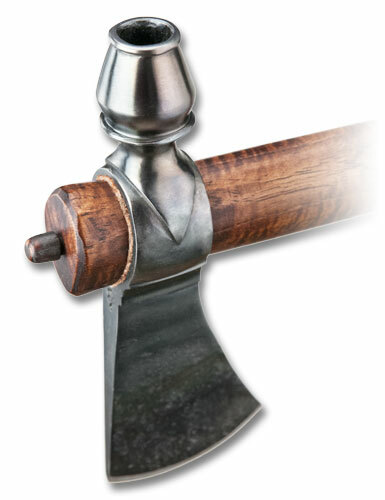 Make any of these pipe hawks “fancy” by adding inlaid pewter handles and scalp locks. 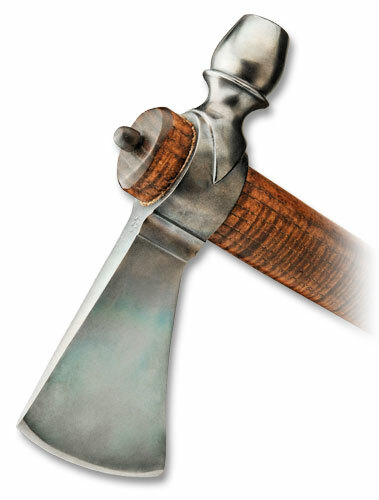 See our Fancy Pipe Hawk page for details.